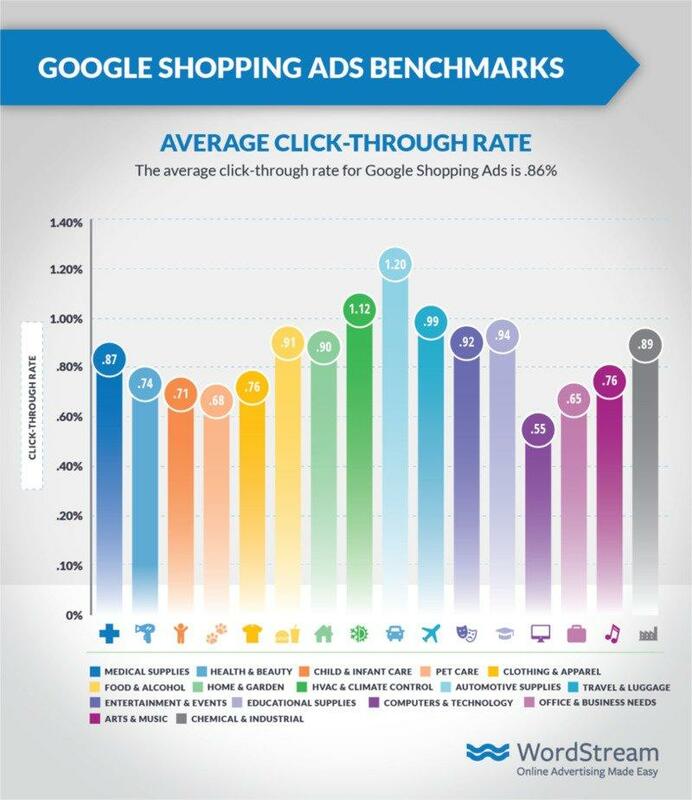 Search advertisers will be relieved to see that shopping ads have significantly lower costs per click than their search keywords. 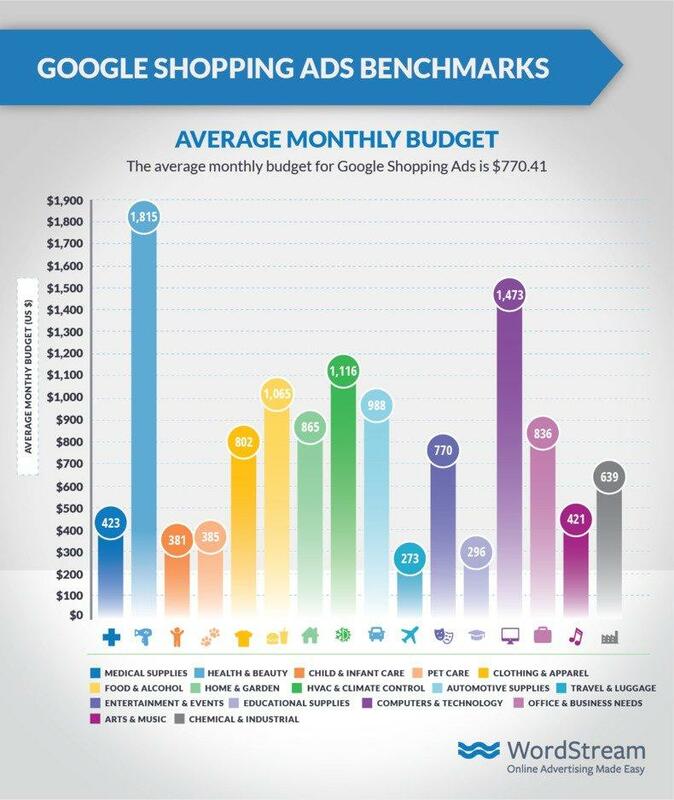 Whereas the most expensive keywords on Google can exceed $50 per click, nearly every click on shopping campaigns is well below a dollar! 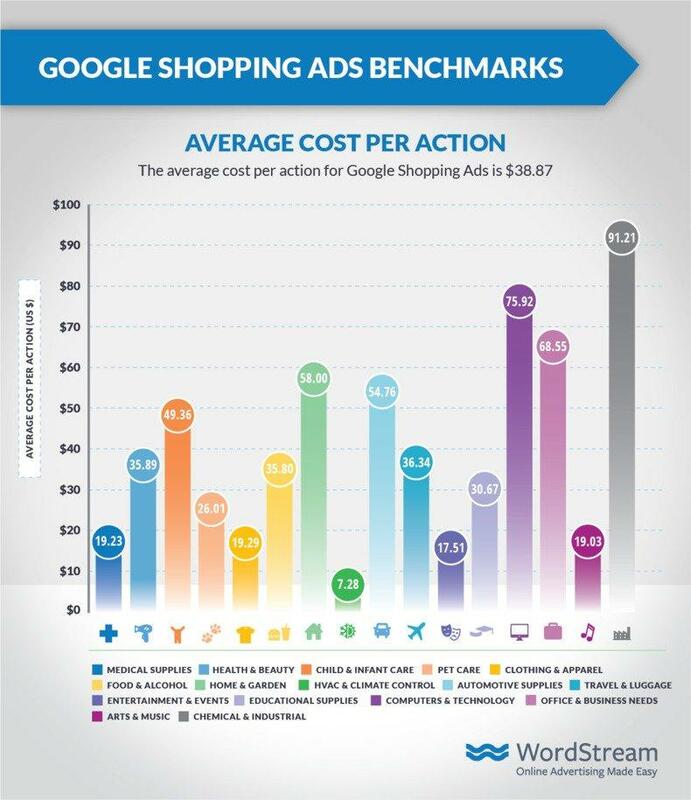 The most expensive industry on Google Shopping is Office & Business needs, where clicks average only $1.09. 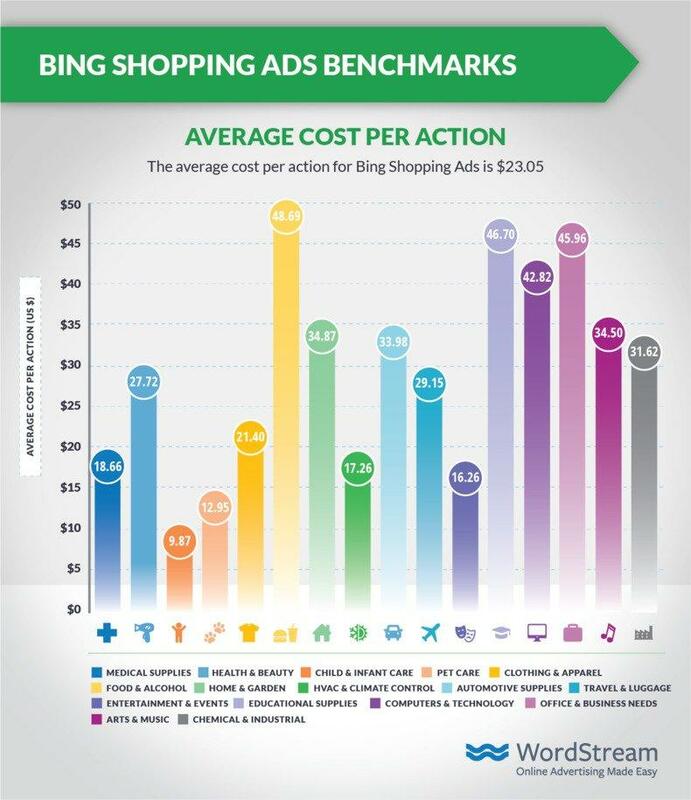 We typically see that Bing Ads have cheaper CPCs than Google Ads – and that generally holds true for Google Shopping ads, as well. 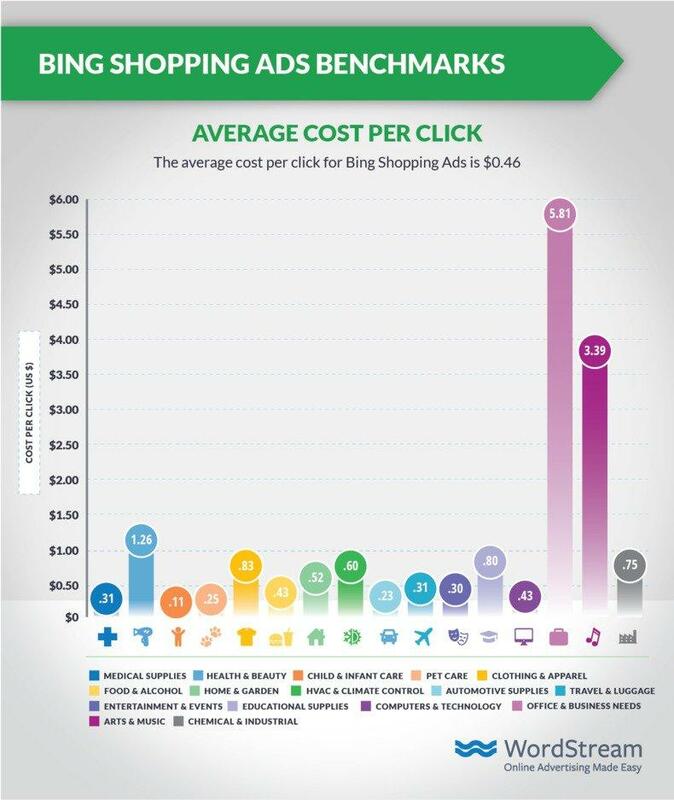 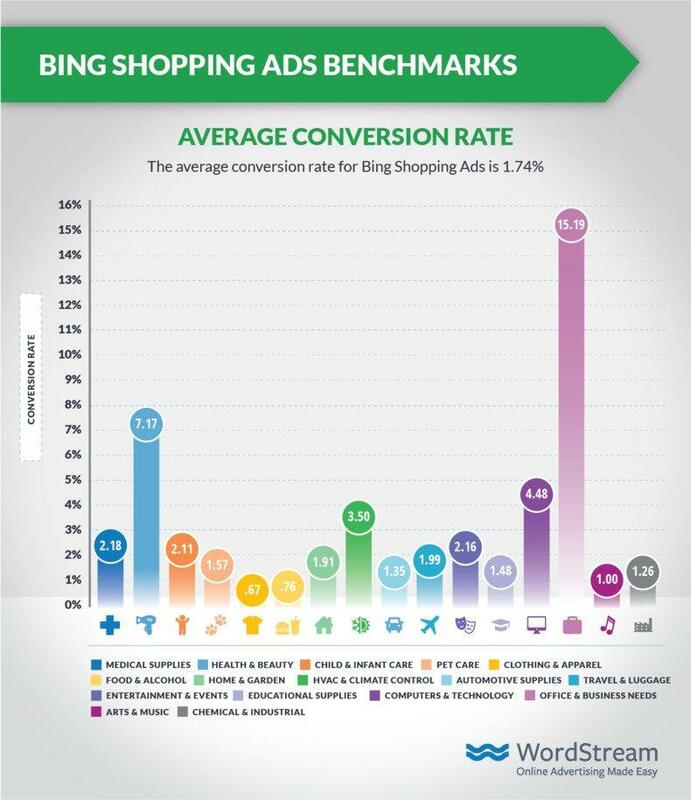 Bing Shopping ads have about a 30% cheaper CPC than Google Shopping ads. 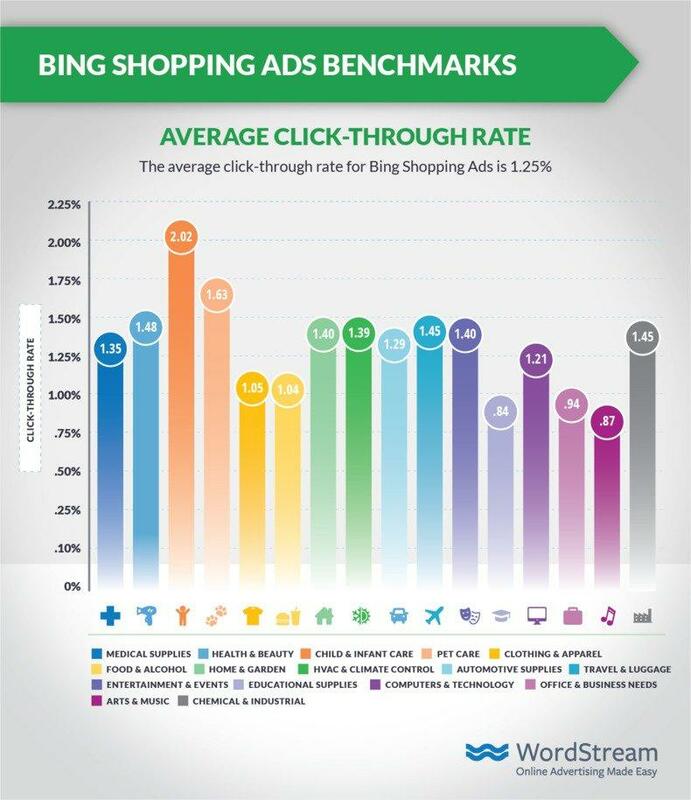 However, some industries have relatively expensive shopping CPCs on Bing, such as Office & Business Needs, Art & Music, and Health & Beauty, which all cost well over $1 per click in Bing Shopping. 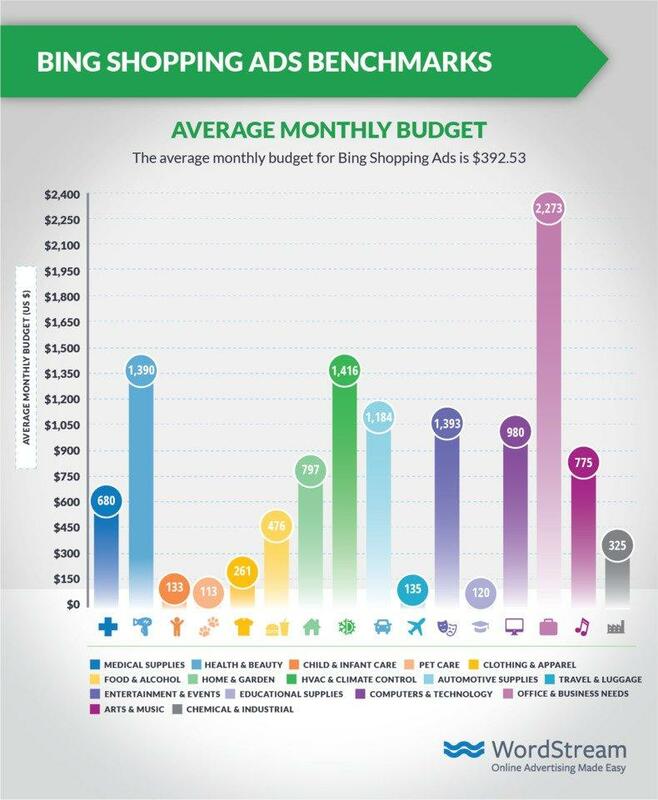 If you’re just starting out with shopping campaigns in Google or Bing, you might reasonably want to know how much budget to put aside for your new campaign. 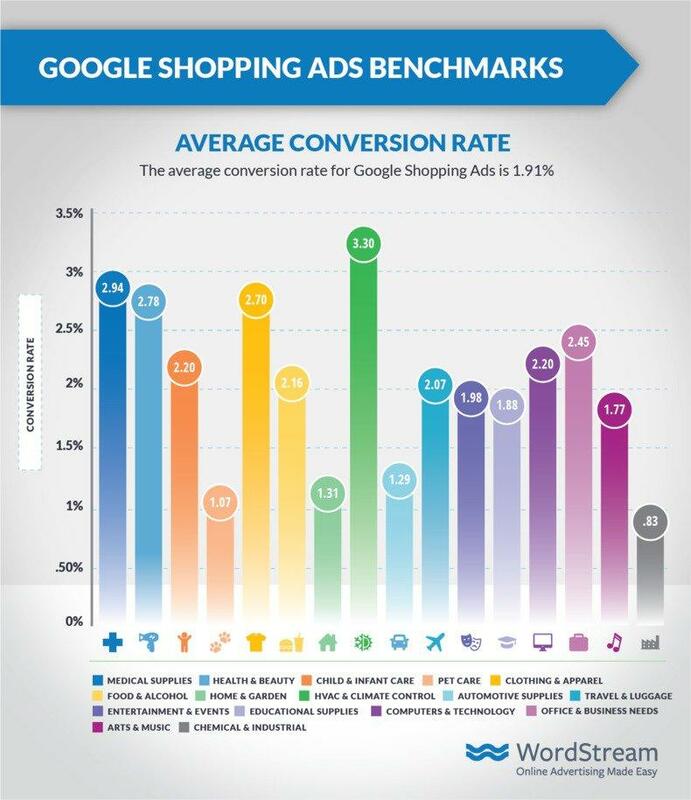 Large and small advertisers rely on shopping campaigns every day, from Amazon to small businesses. 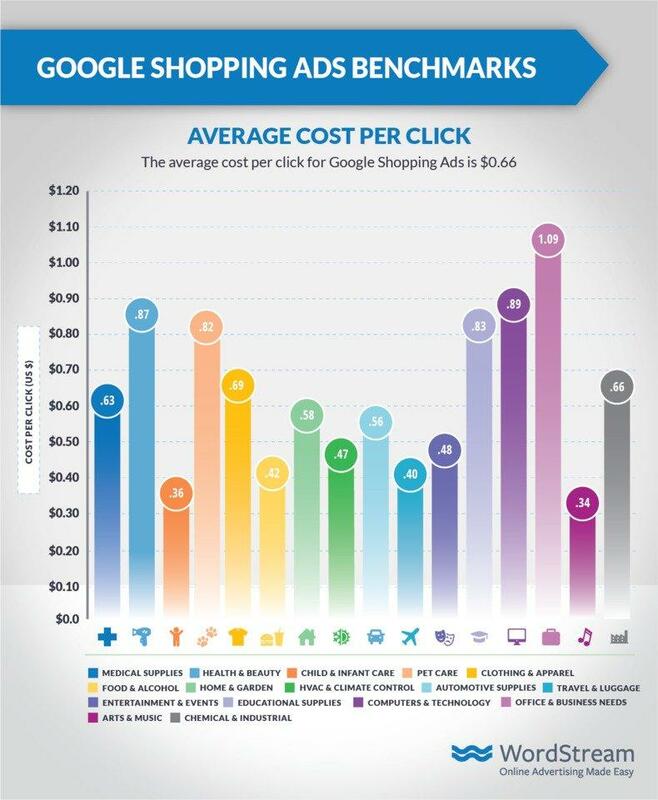 Given that the average cost per click on Google Shopping is 66 cents, you can still expect to get some good traffic for as low as $10 a day.